Refers to all treatment used to assist in achieving a pregnancy and Includes fertility treatments that handle both a woman's egg and a man's sperm. In vitro fertilization (IVF) is the most common and most effective type of ART. ART procedures sometimes use donor eggs, donor sperm, or previously frozen embryos. It may also involve a surrogate or gestational carrier. IUI or Intrauterine Insemniation is a fertility treatment that involves placing sperm inside a woman's uterus to facilitate fertilization. The goal of IUI is to increase the number of sperm that reach the fallopian tubes and subsequently increase the chance of fertilization. IVF or In Vitro Fertilization is a method of assisted reproduction that involves combining an egg with sperm in a laboratory dish. If the egg fertilizes and begins cell division, the resulting embryo is transferred into the woman’s uterus where it will hopefully implant in the uterine lining and further develop. 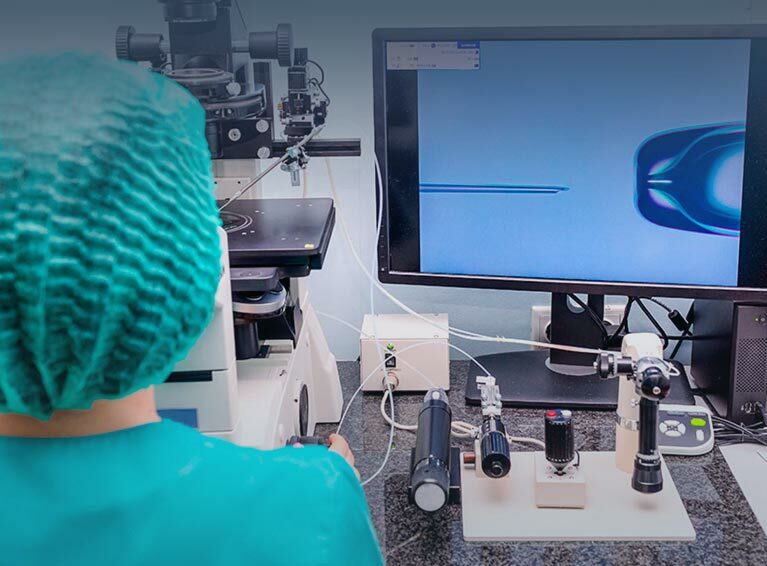 IVF may be performed in conjunction with medications that stimulate the ovaries to produce multiple eggs in order to increase the chances of successful fertilization and implantation. Freezing eggs and egg banking, also called oocyte cryopreservation, is a relatively new method of fertility preservation where a mature, unfertilized egg is retrieved from a woman, frozen and stored for future use. Embryo banking involves in vitro fertilization, a procedure in which eggs are removed from a woman’s ovary and combined with sperm in the laboratory to form embryos. The embryos are frozen and can later be thawed and placed in a woman’s uterus. Embryo banking is a type of fertility preservation. It may be useful for women with cancer who want to have children after having radiation therapy, chemotherapy, or certain types of surgery, which can cause infertility.